How corrosive is DEF fluid, anyway? When we last filled up with DEF (Diesel Exhaust Fluid), we poured a little into a plastic tub and threw in various pieces of metal. DEF is corrosive, but we wanted to find out just how bad it really is. No surprise that zinc really reacts with DEF fluid, but the copper wire turned black with surface corrosion faster than we expected. 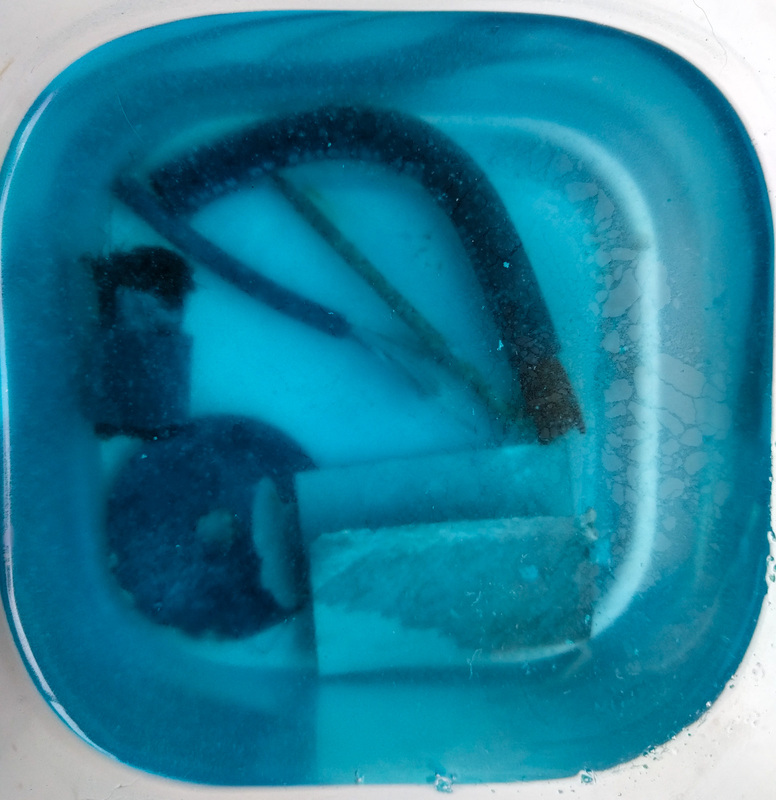 The biggest reassurance from this experiment was that tinned copper cable showed absolutely no reaction to the DEF fluid. This wasn’t a totally scientific test. All the metal was in the same pot, so the most reactive piece (the zinc coated nail) might have neutralized the DEF before it hurt the rest. Still, the results are interesting. A circle of steel from the van body, a zinc coated steel nail, two untinned pieces of copper cable and (bottom right) tinned copper cable. The insulation on the copper cable seemed to keep the strands inside “clean” and corrosion-free. However, the parts that were stripped (where any connectors would be) got pretty badly discolored. 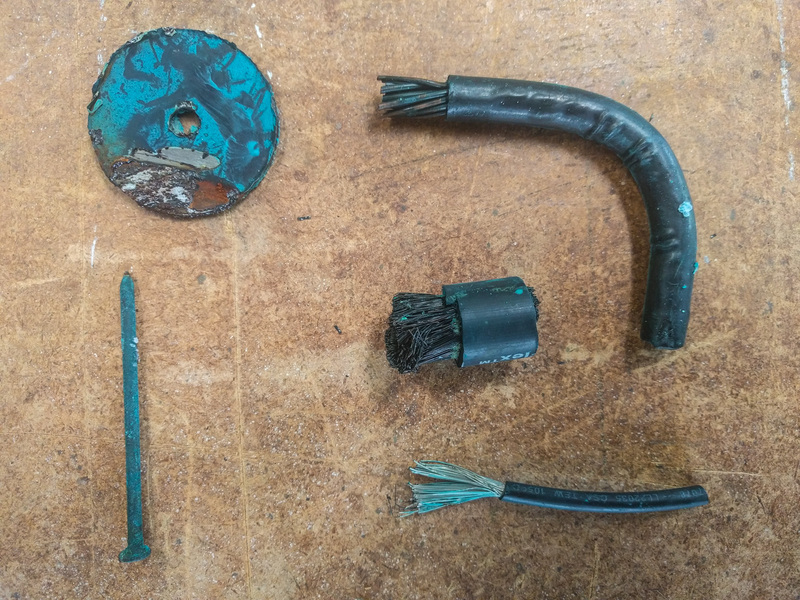 Black corrosion on copper cable from DEF exposure (we stripped another piece after exposure for comparison). The circular piece of metal came from the floor of our van. We scraped off some of the paint to expose bare metal. Where it was scraped, the metal corroded pretty quickly – faster than you’d expect from water/air contact alone. Where it was painted, it was fine. We poured most of the DEF off after three weeks and left the metal items in the bottom of the plastic tub for another three weeks. The steel corroded much more. The copper was already black, so it’s hard to know whether it suffered any more corrosion. The tub of DEF fluid with pieces of metal in it. If this was metal inside the engine bay near the DEF tank filler cap, you could imagine the steel of the body rusting wherever there was any paint damage. Any cable junctions that were exposed would quickly get a layer of black corrosion. 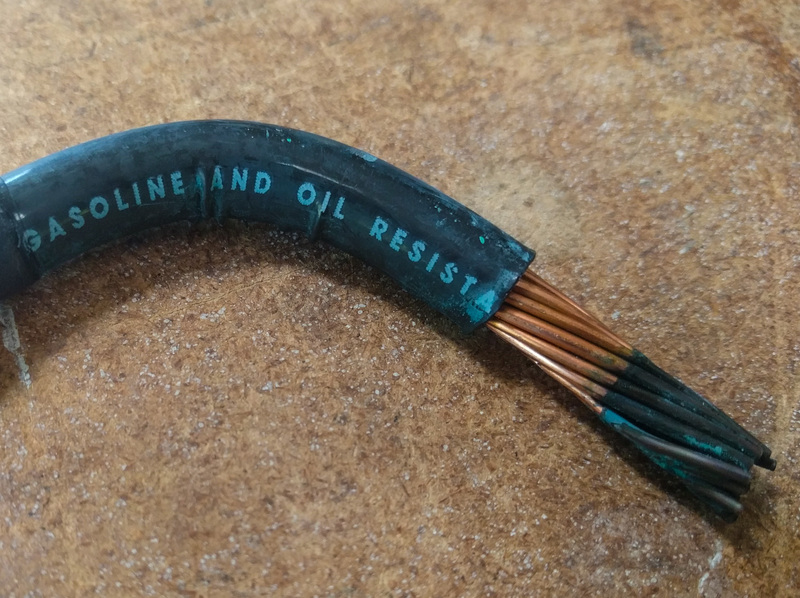 That corrosion has the potential to increase resistance in the circuit, heating things up and lowering the voltage that travels through the circuit. A few body panels are zinc-plated to help protect them from rust. 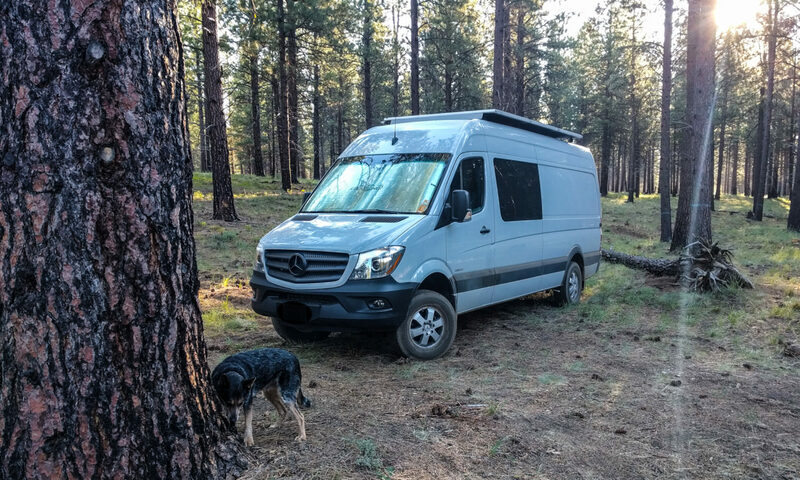 The DEF fluid eats zinc faster than water alone would, so again any damaged panels where the paint was compromised would allow the DEF to accelerate corrosion on the van. You won’t find tinned (marine grade) stranded copper cable in the engine compartment of the van. But it’s an indicator of the higher quality of this type of cable when it comes to corrosion protection. If you’re running extra wires as part of your conversion, it’s worth considering buying tinned rather than regular stranded cable. So clean up any spills after filling your DEF tank up – the stuff won’t do immediate damage, but leaving it on the metal components of the vehicle for any period of time will most likely cause either cosmetic or actual harm.